We Buy/Sell Gaylord Boxes RI. We have a broad supply of gaylord boxes across the Northeastern United States. Upon completion of this form, we will have your request promptly sourced, and contact you via email or phone call. Our complimentary used gaylord box pick up for customers located anywhere in the United States. We will gladly send one of our trucks to pick up the boxes on site, and cover all freight costs. If you have used gaylord boxes that are in good condition, we will happily purchase them from you. Simply complete the box seller form below, and we will contact you for the payment. 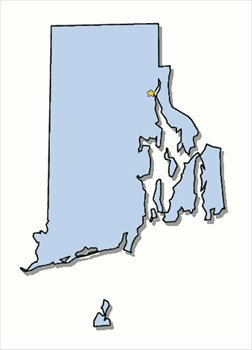 We proudly service customers throughout the Ocean State. We have inventory in the city of providence, and the bordering states of Connecticut and Massachusetts. In order to optimize your experience, we suggest that you complete a box buyer form so we can most adequately provide your boxing needs. This will also allow us to locate the boxes relative to your geographic proximity to minimize freight costs on your purchase. On the other hand, if you are looking to sell your lightly used gaylord boxes, we will happily purchase them from you at a competitive per-box rate. In addition to the purchase, we will also organize the shipping for the pickup. The only condition we hold for purchasing boxes is that the boxes must be either A or B+ grade. Lastly, if you are looking to dispose of your unwanted gaylord boxes we will pick them up with our complimentary gaylord box recycling service. We will coordinate a pickup window, and send one of our trucks to your location to pickup and properly dispose of your gaylord boxes. We look forward to doing business with you!